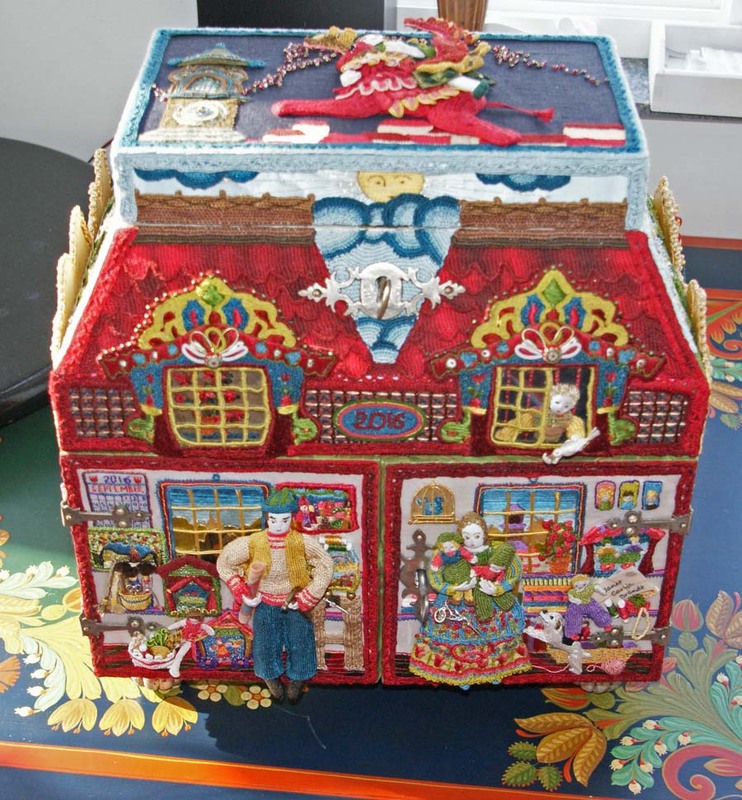 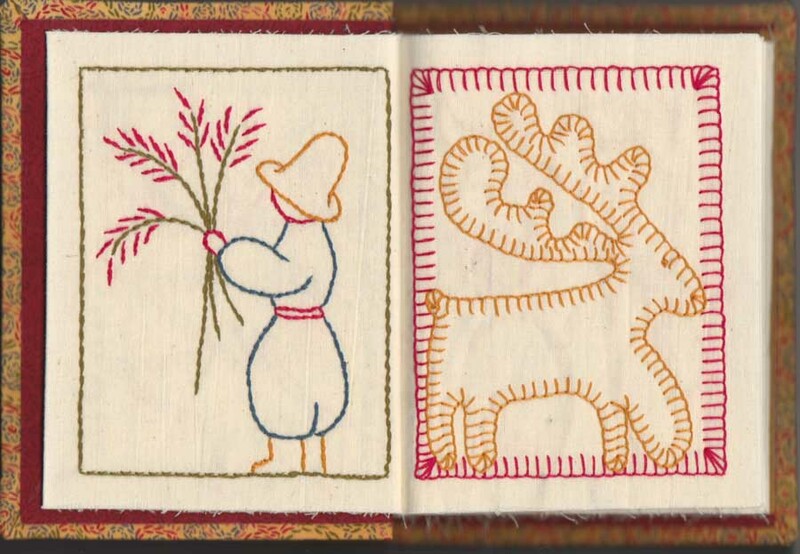 Front cover of the 'Sampler Book' for the Folk Art Stitchery Club I proposed 10 years ago! 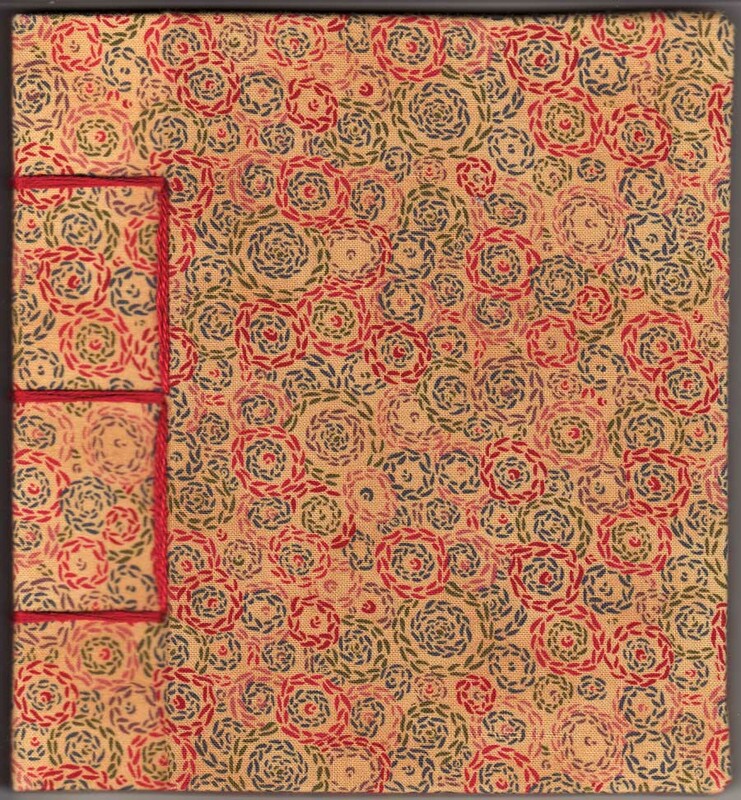 The inside front cover shows the title, index and date. 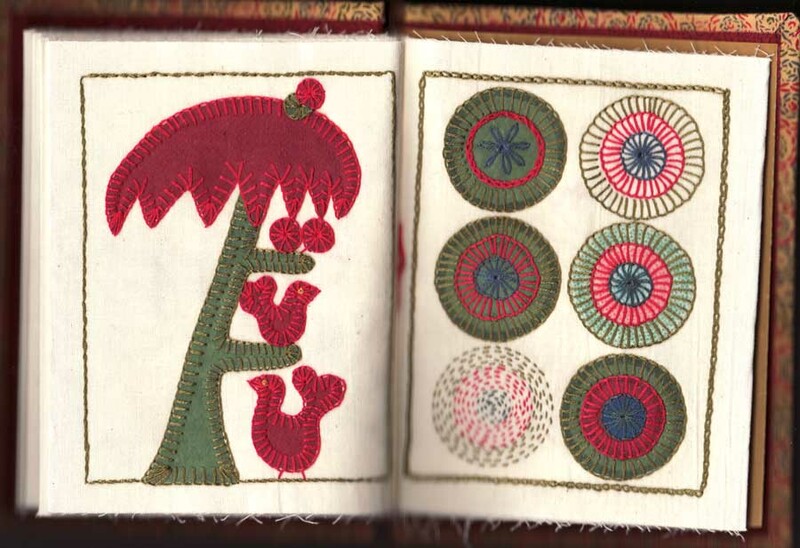 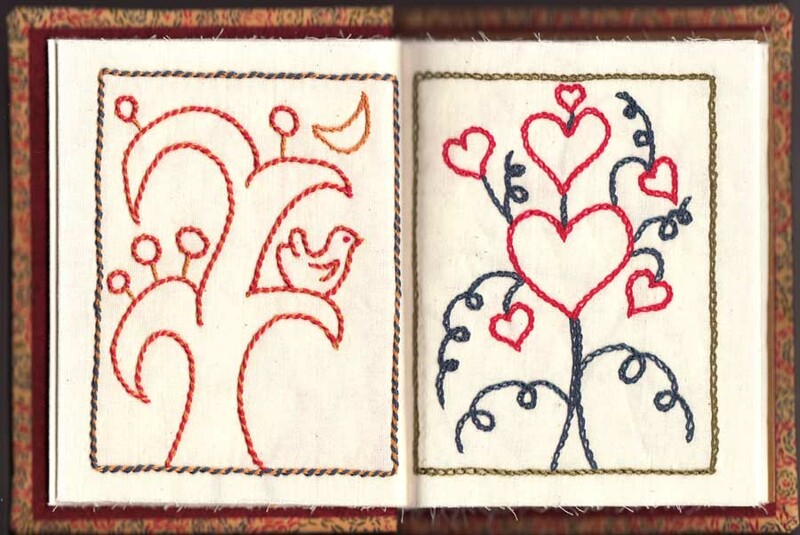 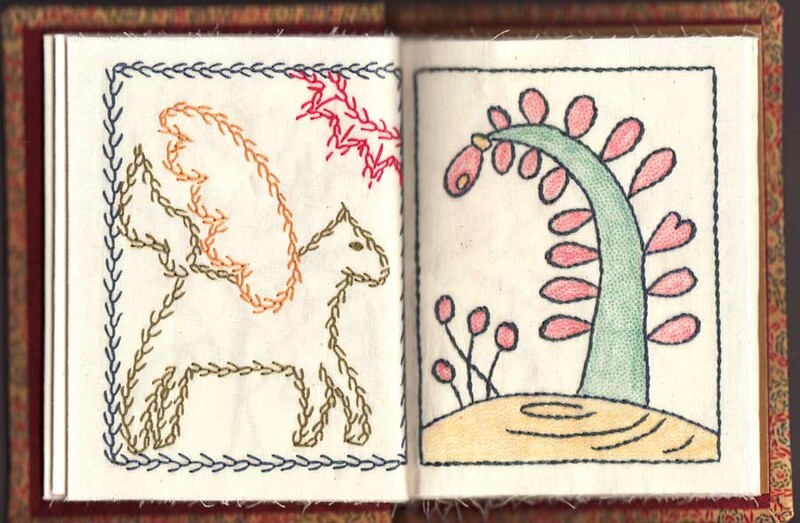 The illustrations for the book are actual embroideries stitched on muslin and then bound together for the book. 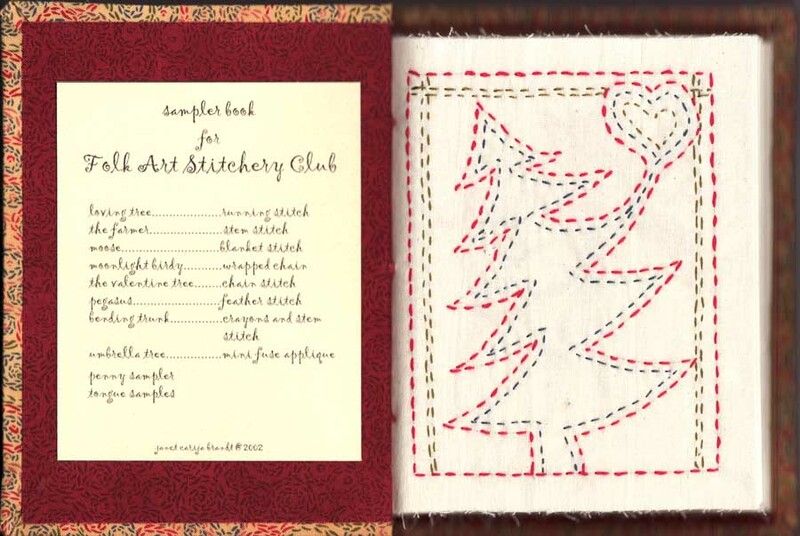 Stitch one, loving tree, is the Running Stitch. 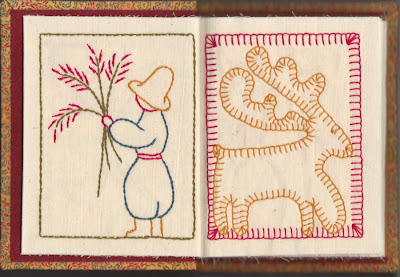 Stitch Two, the farmer, is stem stitch and stitch three, moose, is the blanket stitch. 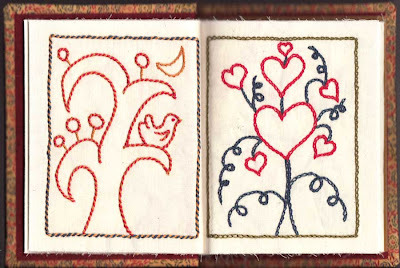 Moonlight Birdy is the chain stitch and the Valentine tree is the wrapped chain stitch. 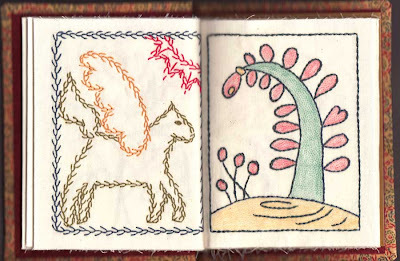 Pegasus is stitched in the feather stitch and the bending tree is crayon colored infill surrounded by the stem stitch. 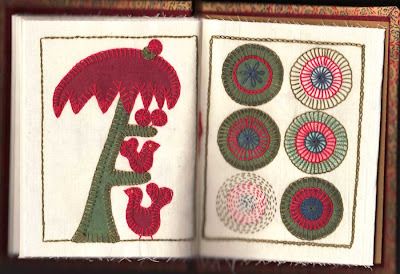 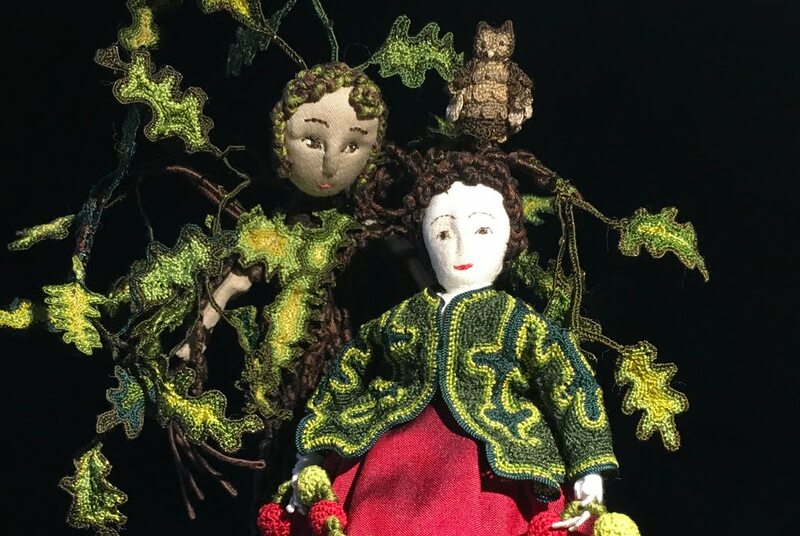 The umbrella tree is fused applique in blanket stitch and the following page is an assortment of ways to make 'pennies'. 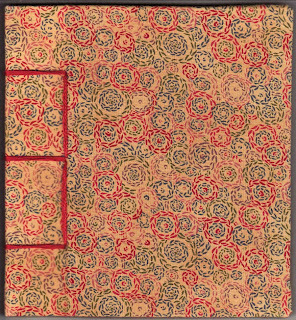 The last page shows two options for tongues for the border of a penny rug. 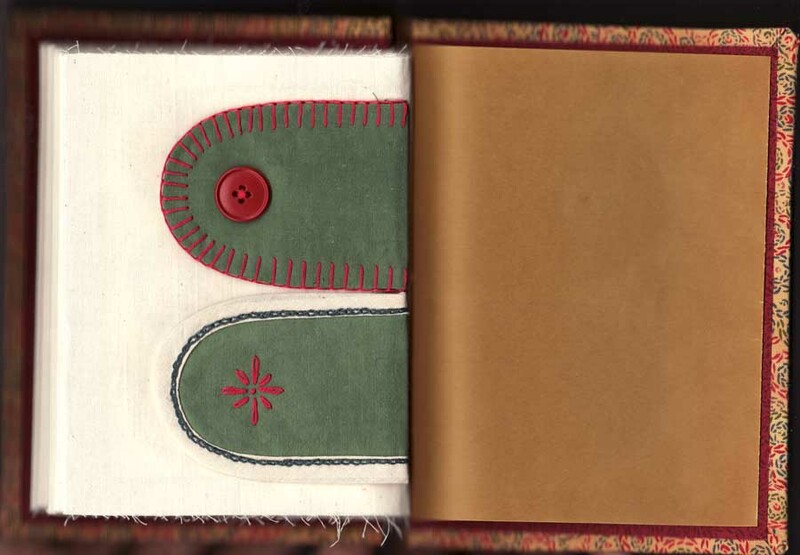 The lower tongue is wrapped in bias cut muslin and blends into the muslin page.